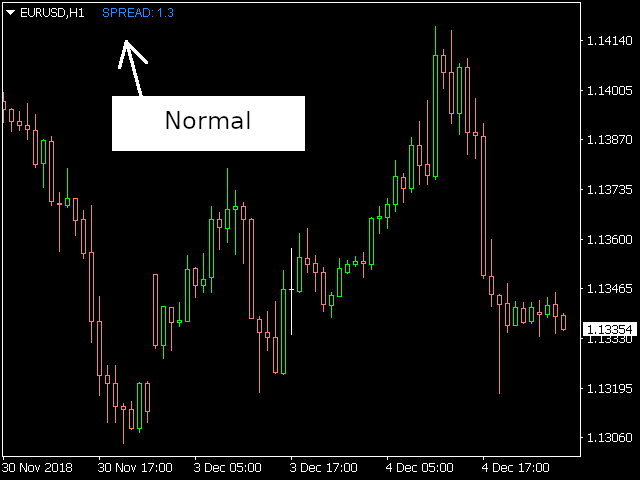 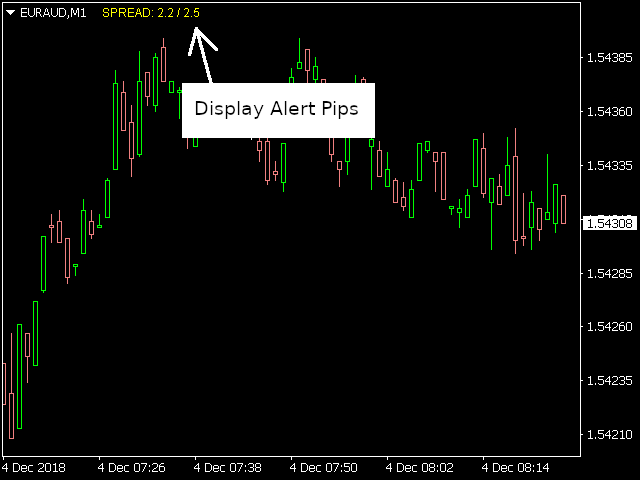 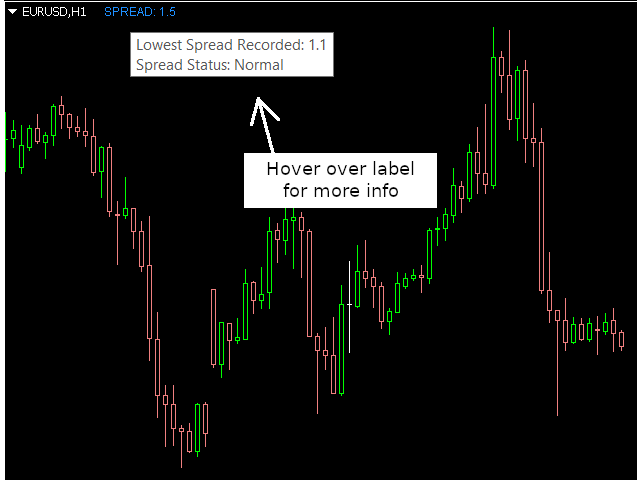 Spread Alert monitors the spread and will warn you if the spread is higher than normal or alert you if it is above the threshold that you set. 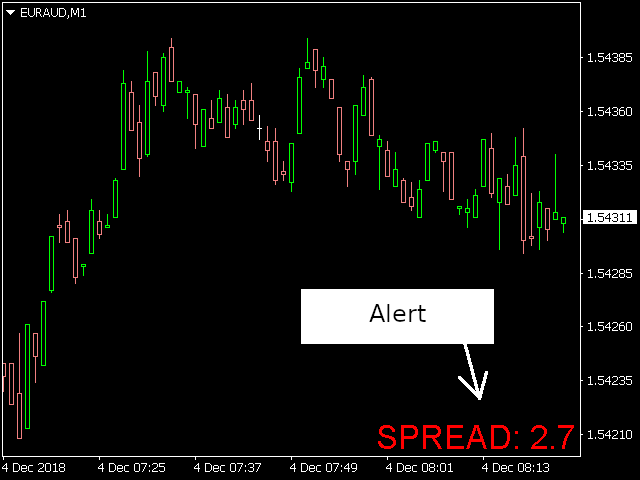 You'll never get caught off-guard with a bad entry again with Spread Alert! 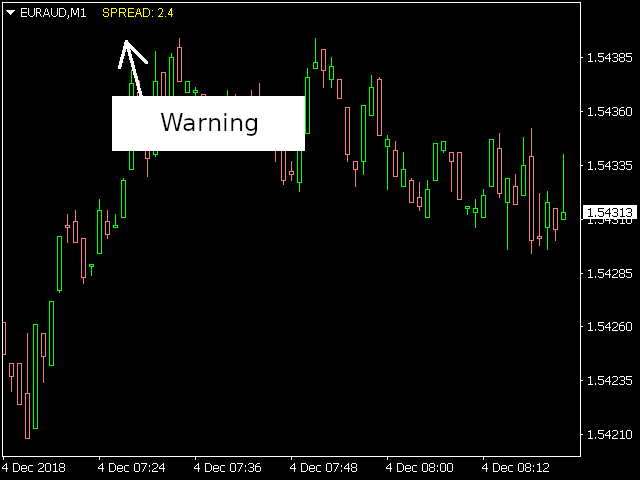 When the alert is met, the label defaults to the bottom right of the screen. 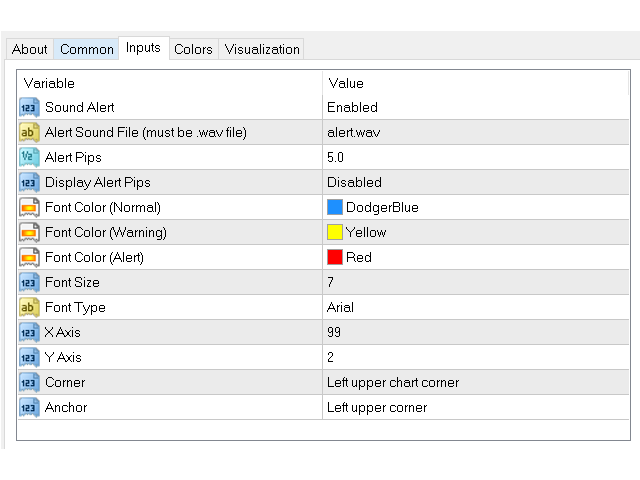 Changed "Enable Alert" parameter to "Sound Alert"